Following Need for Speed: Hot Pursuit, the second Must Have Game of 2012 is now upon us. Bullet Asylum from UberGeekGames and Microsoft Studios has hit the Marketplace. 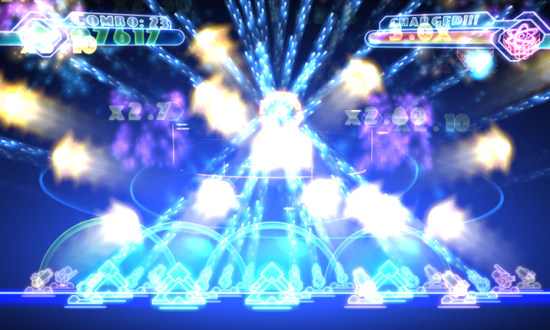 Bullet Asylum, which WPCentral previewed earlier this week, is a modern update to the classic Missile Defense formula. Aliens rain down from the sky and it’s up to your turrets to stop them. You can use a single finger to fire all your weapons at one area or two fingers to split the fire. Game modes include the extremely easy Arcade, an endless Survival mode that has no Achievements for some reason, and the frustratingly hard Architect mode. Seriously, what were they thinking with Architect? That one mode notwithstanding, Bullet Asylum is a mostly easy shooter to zone out to. Plus it has the flashy neon graphics that we all love and a fair upgrade unlocking system... Just wait till you see the Peace Mode modifier; it’s a trip. Bullet Asylum costs $2.99 and there is a free trial. Get it here on the Marketplace and help stop those aliens!